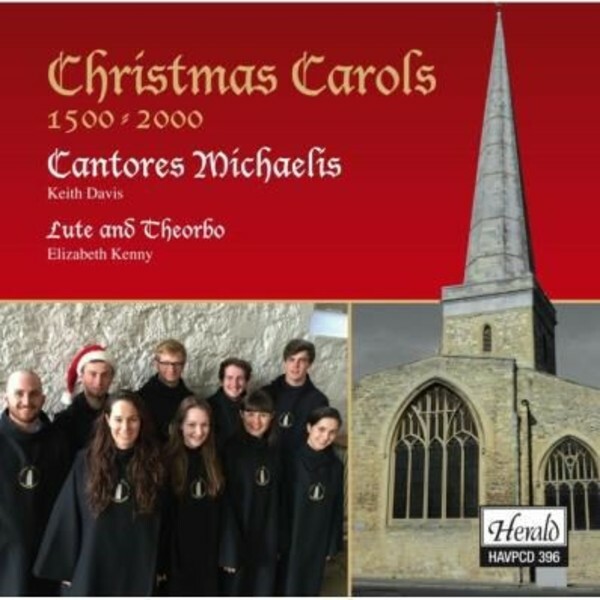 Cantores Michaelis are choral scholars from the University of Southampton who are funded by The Friends of St Michael's and based at the ancient Southampton City Centre church of St Michael the Archangel, where they sing every Sunday and Feast Days during the academic year. The group (founded in 2000 by their Director Keith Davis) specialises in unaccompanied repertoire composed for the Christian Liturgy. Cantores Michaelis is well known around Southern England, as they have gained a reputation for very high standards and have sung in Westminster Abbey (by invitation of The Dean & Chapter), provided their specialist skills by singing the full Latin Mass Rite for The Latin Mass Society in Portsmouth RC Cathedral, appeared with well known actors such as Timothy West in The Lighthouse Theatre Poole, and provided the soloists and small choir parts in productions of Dido & Aeneas by Henry Purcell in Turner Sims Concert Hall, Southampton. Elizabeth Kenny is one of Europe's leading lute players. Her playing has been described as "incandescent" (Music and Vision), "radical" (The Independent on Sunday) and "indecently beautiful" (Toronto Post), and she performs on this disc of Christmas Carols dating from 1500 right up to the year 2000. Including carols ranging from Holsts' Lullay my liking to Have Yourself a Merry Little Christmas, this recording will offer a wide variety of music to satisfy the whole family's needs!